Don’t get stuck on the side lines. Let CTS help you get back in the game! YOU are the focus at Community Therapy Services! Check out our summer groups! 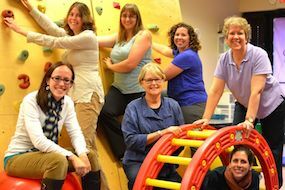 Founded by speech-language pathologist Catherine Raack-Gienger and headed by neuroscientist Dr. Angel Gray-Shah, CTS is staffed by licensed and certified occupational, physical, and speech-language therapists with a wide range of experience. 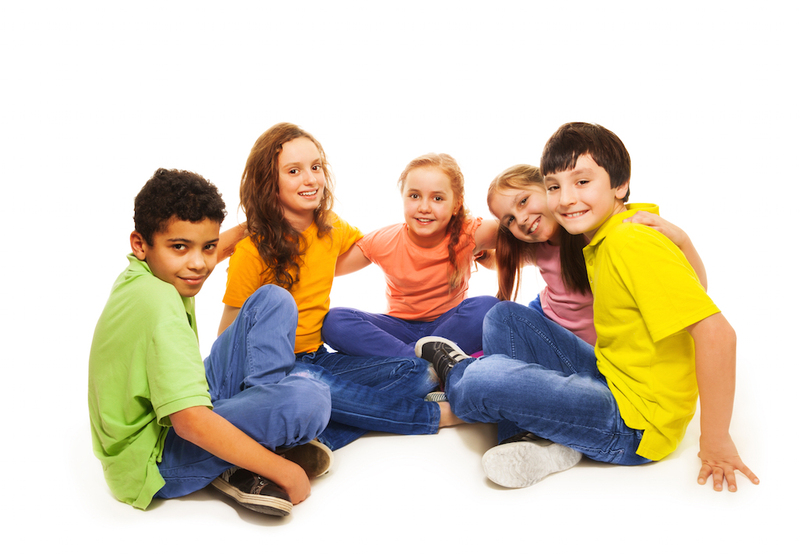 We offer individual, co-treatment, and group therapies for young people newborn to young adult who need extra help with some aspect of their physical or cognitive development. 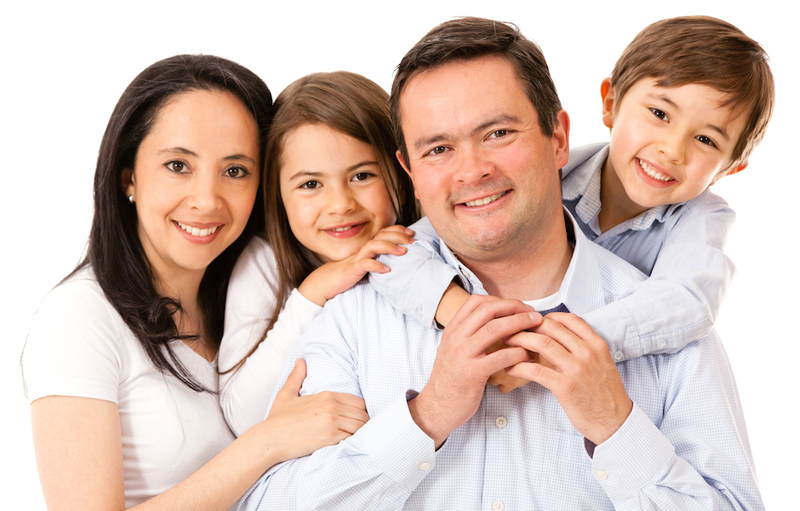 At CTS, we utilize a community approach to therapy, and invite the referring doctors, parents, and siblings to work with therapists and supportive staff on treatment strategies to help bring out the best in each child. 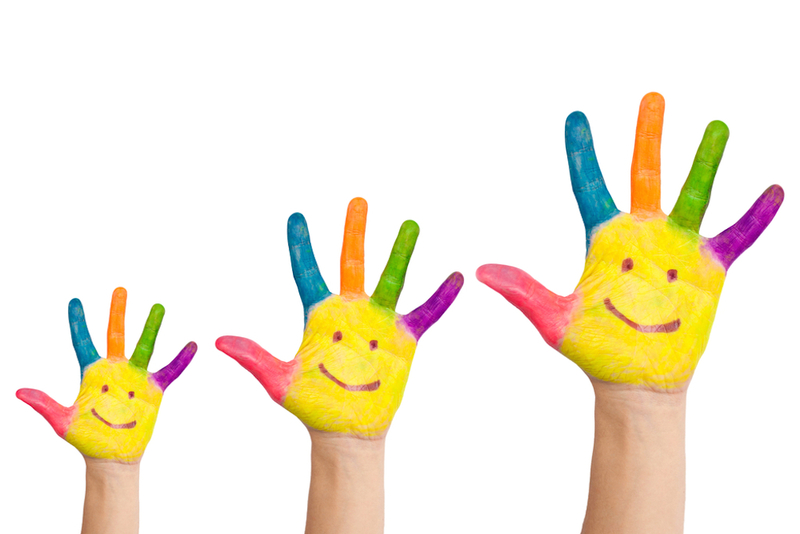 At Community Therapy Services we believe our work is all about empowering parents and helping children succeed in all aspects of their lives, including their community school or home school, social environments, daily living tasks, play for learning, and sense of well-being. We strive to see that each and every child who comes through CTS achieves his or her very best through being given the skills necessary to lead a productive life. 2018 Charlemagne Community Award Recipient Did you know our St. Charles location used to house a heating and cooling business? CTS is on the Move! Angel Gray-Shah2018-05-22T08:34:05-05:00April 26th, 2018|Comments Off on CTS is on the Move! Sue is one of my first mentors! 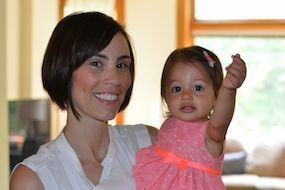 She’s amazing with her families and a gift to the practice of OT. Love Sue! She is one of the best OT’s I have ever worked with! I would like to take the opportunity to thank CTS for making a positive difference in so many lives, including my own. We are extremely appreciative. My kids and I just love everyone at CTS! Always smiling and always interested in what the kids have to say. They always take the time to chat with the kids and make them feel important. My son doesn’t seek comfort from anyone but me (mom) usually, but I watched him walk up to Kerry & give her a hug one day with no prompting. Their rapport is better than with any other therapist he’s seen. My son looks forward to his sessions with Kerry. She is great at her job. I see such an improvement in my son’s speech because of his sessions with her. Melanie really has been great for my son. In the year we’ve been working with her, he’s come so far with his goals, has needed new goals when he surpasses those, and she created a social group for him. It’s been wonderful. She helps him excel and push his limits to reach what he’s truly capable of accomplishing. Jody is extremely patient, professional, respectful, and knowledgeable. She has developed a great rapport with us. Our daughter has made great progress since she started seeing Jody. Thank you, Melanie for working so hard with our daughter to help her catch up for the school year!! We will continue to bring our daughter throughout the year to help her improve her skills! Thank you!! Melanie is a wonderful speech therapist. She has helped my son reach many of his goals and makes new goals for him. Most impressive is their connection, my son is very responsive to her. She is a great educator and advocate for my son and our family. I know my son has accomplished so much in his overall development because of Melanie. In addition what a great group leader, my son was successful in her Lego group. Thank you Melanie, you are the best. Ms. Brenda greets us every time with great warmth. We love these ladies. I have great respect for Trish as a therapist. Marissa has gone above and beyond. The students and staff LOVE working with Marissa. Her positive attitude and knowledge have brought a lot to our program. She is a very valuable part of our team. Marissa is a wonderful OT! She does great with building relationships with her students. Marissa is student centered and always willing to collaborate with co-workers to meet the needs of her students. She is a dedicated employee who looks for the best in all situations. It is a pleasure working with Emily. She is truly the best therapist I have ever worked with in my 28 years of teaching. We love Lauren! She is wonderful to be around and is very knowledgeable in what she does. My son has made a lot of progress in a few short months. We hare lucky to have her! Amanda Wallace is very caring, and thinks outside the box with considerate ideas for improvement beyond just speech. She’s very bright, and very thorough. In short, she’s awesome. We couldn’t be happier with everything she’s done for our son. I have worked with many SLPs for the past 20+ years – Anna is resourceful, diligent and makes the workplace a fun place to be. Elizabeth is a great addition to the team! She thinks fast in therapy sessions and makes progress toward goals fun for students. She is knowledgeable and a joy to work with. Victoria is a blessing to have at our school. She will spend extra time with parents and students. She is always helpful and flexible and develops good relationships with everyone. Jeanette has such a positive approach with the students and is very good at making connections. Jeanette exceeds any speech therapies that my students have received in the past. You can tell she really loves what she does. Kaite is: personable, sociable, not afraid to take initiative, very compassionate towards students and staff, always goes out of her way to help. Everyone absolutely loves her. Monica demonstrates a high level of professionalism, close attention to detail, and a genuine desire to help struggling students. We absolutely love Miss Emily! She has truly been an asset to my son’s improved language! She has given him/us a multitude of different strategies to improve his speech. And is a caring ear to help me as well through this process. Anna is wonderful! I truly am beyond grateful for all the ways I have seen Jack improve during his time working with CTS and Anna. Amanda Wallace is remarkably knowledgeable and is able to suggest ways to reach my students that I never thought of. She is incredible. If I could clone her I would. I have never worked with a better OT. She has an incredible way of collaborating with staff and forms an excellent rapport with students and uses creative strategies to meet their needs. She is exceptional and is always seeking to improve herself. Anna is a great asset to our team. She demonstrates extensive knowledge about technology and trains teams on the best practices when working with students with communication devices. She has truly become a valuable member of our team. Any kind of therapy goes better when the family is involved. We want you on the team! We bring families and caregivers into the therapy routine, teaching them a way to play at home that will help the child progress even faster. Thank you for referring your patient to CTS. We want to work with you to help your patients achieve their best. Our staff includes physical therapists, occupational therapists, and speech language pathologists. 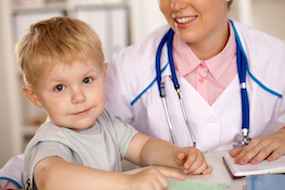 Are you a dedicated professional with a passion for providing quality pediatric therapy services? If so, Community Therapy Services (CTS) would like to talk with you about developing a mutually rewarding working relationship. As part of our community approach, CTS has partnered with Innovative Sports Medicine (ISM). ISM specializes in working with young athletes seeking to be pain-free and prepared for reintegration into their sport or leisure activities. ISM believes that athletes benefit from a customized and integrative approach that includes much more than just traditional chiropractic care. 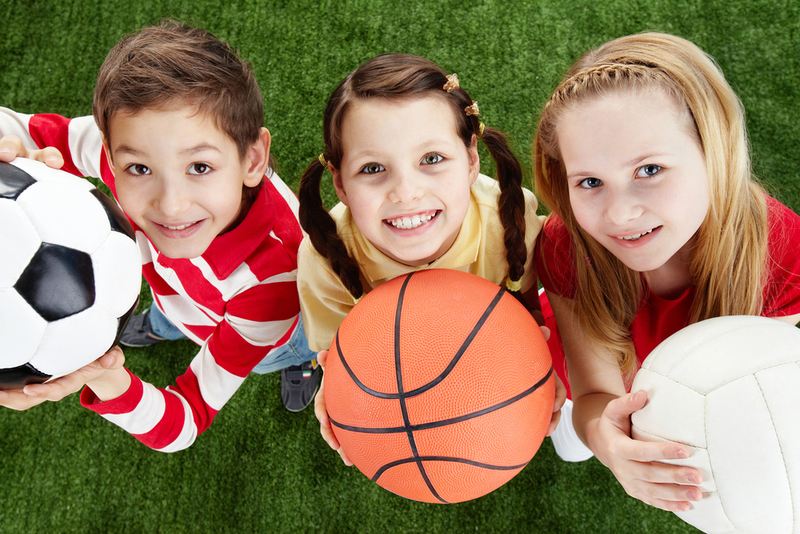 They provide the ultimate integration of physical therapy, nutrition, motion analysis, massage, chiropractic care, and fitness to provide a solution to your young athlete's injury or performance issues. Your young athletes will have direct access to CTS's physical therapists and the Innovative chiropractors at our clinic as part of an integrative rehabilitation approach. However, if a more complex sports medicine program is needed, athletes will have access to Innovative Sports Medicine’s new integrative sports facility in Batavia, IL.